Having a hard time picking out the perfect flag for someone? Well you’re in luck! 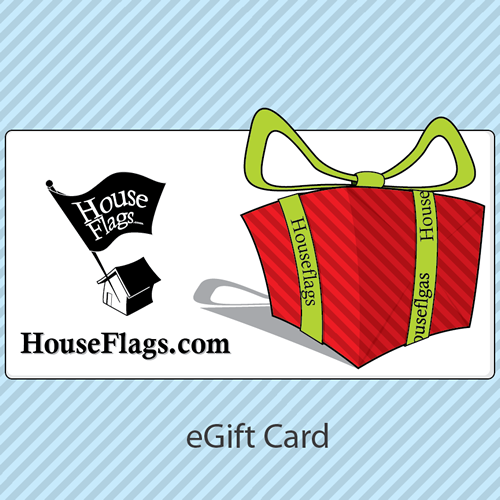 Our eGift cards are the fastest and easiest way to shop for the perfect gift without the hassle. If you wish to print out the eGift card and present it to the recipient in person write your E-Mail in the To E-mail box. 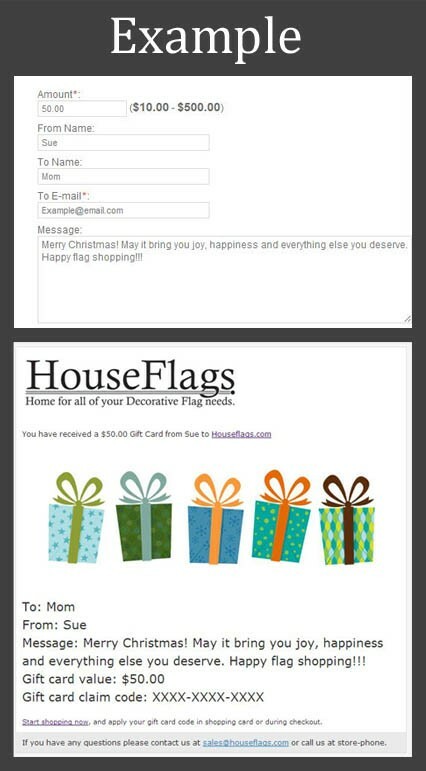 Also, if you are not sure of what the recipients E-mail is you can also write your E-mail in the To E-mail section and always forward that e-mail to the recipient later on. Forward it to the recipient. Print out the information and present it to the recipient.